warning: count(): Parameter must be an array or an object that implements Countable in C:\Domains\malaccahigh.net\malaccahigh.net\wwwroot\emp\includes\theme.inc on line 537. Our Managing Director, Mr Kang, met up with a Thai rubber consultant who was in KL on business. They discussed the possibility of selling our Pre-cleaning and blending rubber machinery to his client in Thailand. The Thai client wants to process dirty cup lumps and rubber slabs and blend them into wet crepe. Currently, we have ex-stock a Slab Cutter, macerator and crepers which can be delivered within 6 working weeks. We also have the helical gearboxes, motors and equipment in stock, so delivery time can be shortened. Our Fans Division receives a new fan order from an existing customer. They ordered 4 Axial fans and 2 sets of Centrifugal fans. This is a repeat order from 2012 by our customer. 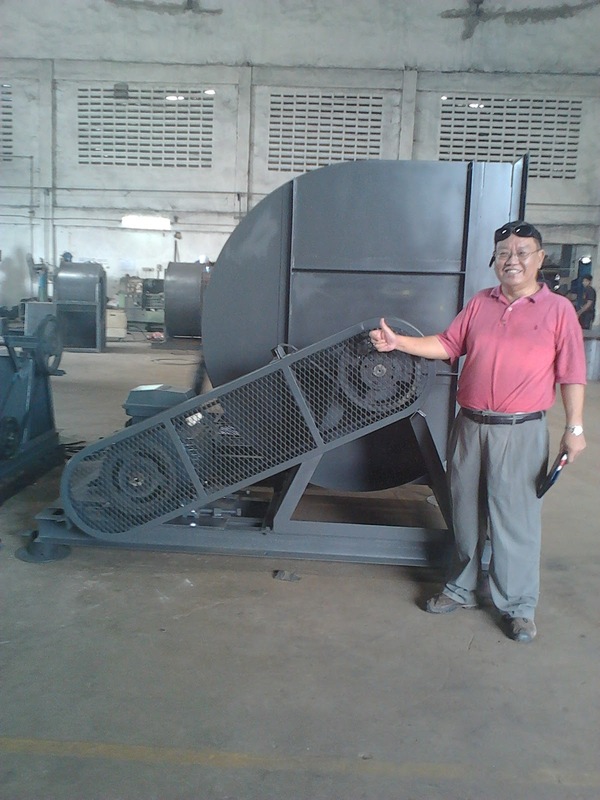 The company has been using our fans for their Cooling Tunnel used in the Dry rubber processing. Over the years, our axial and centrifugal fans have been exported overseas for the rubber industry and building industry. Recently, we managed to export to the oil palm factories in Indonesia. 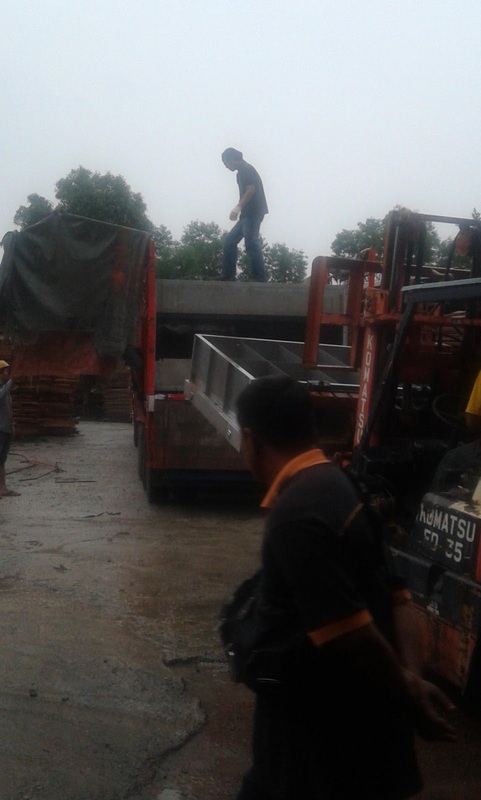 Our Trading Division received a small trial order from a plantation group in East Malaysia. They ordered Wound Healing Compound for rehabilitation of damaged rubber tree trunks from wild animals. At the same time, they order our Bio-pesticide which can be sprayed onto foliage. This is used to control unwanted pests. If this sample order works well for this plantation, we expect long term orders from this group in East Malaysia. Our company has the following new Wet Rubber Processing machinery for sales based "First Come, first serve basis"
Nominal capacity of these machinery range from 1000 to 2000kg(dry)/hr. All machines are supplied with motor, gearbox and mounted on a common baseframe. Our Fans Division has submitted our FOB prices for 3 sets of Centrifugal fans to a potential Indonesian customer. 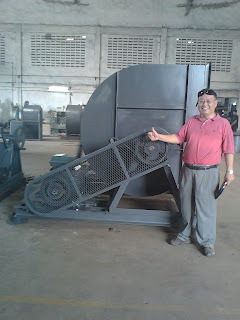 They want these fans for their Palm Oil mill in Indonesia. As palm oil mills operates in harsh and oily conditions, our centrifugal fans have proven to be robust and reliable. Our fans have made their marks in rubber industry, buildings and factories around the ASEAN region and now, we have gone into the palm oil industry. Our company has been requested to quote for the supply and delivery of 5000 sets each of Gebung Rubber tapping knives for mature and young rubber trees. We have just submitted the prices to the person concern. With some new rubber plantations coming on stream which have been planted about 6 years ago, it is time for tapping. EMP MALAYSIA Engineering and Projects Division has shipped out our Steam Heated Skim Block Rubber Dryer to Thailand recently. This specially designed crumb rubber dryer will use excess steam generated from a nearby oil palm factory to heat and dry the skim crumbs. Our Trading Division is expected to receive a small order for the supply of rubber latex stimulant into Sri Lanka. This is a major breakthrough as our company has not supplied any of our agronomic supply and rubber processing machinery into Sri Lanka. Our company wants to have our footprint in Sri Lanka, India and Bangladesh for the supply of our range of agronomic supply to rubber plantation and our procssing systems. Over the years, we have supplied to South asian companies and finally, we have managed to penetrate Sri Lanka with our products. After a delay of 6 months by our Thai customer, we will be delivering our Skim Block dryer with steqm heating system to our customer by 15th. May 2013. The customer has requested the delivery to be delayed due to space problem at their factory location. The customer inspected the items yesterday and we agreed on the date of delivery. Transport will be arranged by the customer and the dryer will be delivered in breakdown form. Besides the dryer, we will also deliver our EMP Final Reduction shredder, static screen loading system, and a metal detector. Rubber Inner Tubes for bicycles, motorcycles, cars and trucks. If you want to receive our complimentary eNewsletter, please sign up here. Thank you.